What is the cheapest way to get from Or Akiva to Jerusalem? The cheapest way to get from Or Akiva to Jerusalem is to bus which costs ₪ 53 and takes 1h 55m. What is the fastest way to get from Or Akiva to Jerusalem? The quickest way to get from Or Akiva to Jerusalem is to bus which costs ₪ 53 and takes 1h 55m. Is there a direct bus between Or Akiva and Jerusalem? Yes, there is a direct bus departing from Or Akiva Interchange and arriving at Jerusalem Central Bus Station/Unloading station. Services depart hourly, and operate every day. The journey takes approximately 1h 55m. How far is it from Or Akiva to Jerusalem? The distance between Or Akiva and Jerusalem is 87 km. How do I travel from Or Akiva to Jerusalem without a car? The best way to get from Or Akiva to Jerusalem without a car is to bus which takes 1h 55m and costs ₪ 53. How long does it take to get from Or Akiva to Jerusalem? 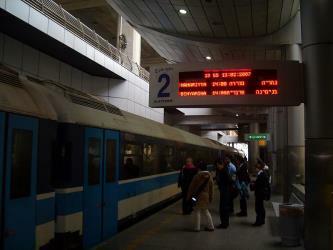 The bus from Or Akiva Interchange to Jerusalem Central Bus Station/Unloading takes 1h 55m including transfers and departs hourly. Where do I catch the Or Akiva to Jerusalem bus from? Or Akiva to Jerusalem bus services, operated by Egged, depart from Or Akiva Interchange station. 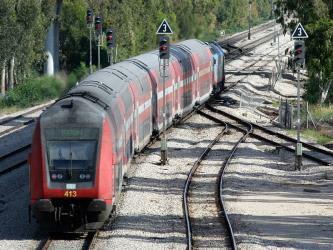 Train or bus from Or Akiva to Jerusalem? The best way to get from Or Akiva to Jerusalem is to bus which takes 1h 55m and costs ₪ 53. Alternatively, you can train, which costs ₪ 50 - ₪ 70 and takes 2h 22m. Where does the Or Akiva to Jerusalem bus arrive? Or Akiva to Jerusalem bus services, operated by Egged, arrive at Jerusalem Central Bus Station/Unloading. Where can I stay near Jerusalem? There are 808+ hotels available in Jerusalem. Prices start at ₪ 311 per night. What companies run services between Or Akiva, Israel and Jerusalem, Israel? Egged operates a bus from Or Akiva to Jerusalem hourly. Tickets cost ₪ 53 and the journey takes 1h 55m. 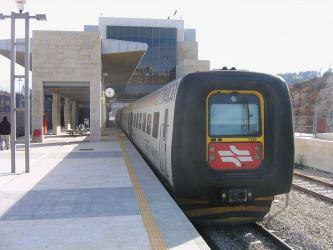 Alternatively, you can take a train from Or Akiva to Jerusalem via Binyamina Rail Station/HaTahana, Binyamina, and Nat-bg in around 2h 22m. Rome2rio's Travel Guide series provide vital information for the global traveller. Read our range of informative guides on popular transport routes and companies - including French strikes 2018: What are my alternative transport options?, Is ride-sharing platform BlaBlaCar right for you? and 4 stunningly beautiful Philippines islands you need to visit - to help you get the most out of your next trip. The Old City (Hebrew: העיר העתיקה, Ha'Ir Ha'Atiqah, Arabic: البلدة القديمة, al-Balda al-Qadimah) is a 0.9 km2 walled area within the modern city of Jerusalem. The Western Wall, Wailing Wall or Kotel (Hebrew: He-Kotel.ogg, translit. : HaKotel HaMa'aravi; Ashkenazic pronunciation: HaKosel HaMa'arovi; Arabic: حائط البراق, translit. : Ḥā'iṭ al-Burāq, translat. : the Buraq Wall, or Arabic: المبكى al-Mabkā: the Place of Weeping) is an ancient limestone wall in the Old City of Jerusalem. It is a relatively small segment of a far longer ancient retaining wall, known also in its entirety as the "Western Wall". The wall was originally erected as part of the expansion of the Second Jewish Temple begun by Herod the Great, which resulted in the encasement of the natural, steep hill known to Jews and Christians as the Temple Mount, in a large rectangular structure topped by a huge flat platform, thus creating more space for the Temple itself and its auxiliary buildings. The Church of the Holy Sepulchre (Arabic: كَنِيسَةُ ٱلْقِيَامَة Kaneesatu al-Qeyaamah; Greek: Ναός της Αναστάσεως Naos tes Anastaseos; Armenian: Սուրբ Հարության տաճար Surb Harut’yan tač̣ar; Latin: Ecclesia Sancti Sepulchri; also called the Church of the Resurrection or Church of the Anastasis by Orthodox Christians) is a church in the Christian Quarter of the Old City of Jerusalem, a few steps away from the Muristan. The church contains, according to traditions dating back to at least the fourth century, the two holiest sites in Christianity: the site where Jesus of Nazareth was crucified, at a place known as "Calvary" or "Golgotha", and Jesus's empty tomb, where he is said to have been buried and resurrected. The tomb is enclosed by the 18th-century shrine, called the Aedicule (Edicule). The Status Quo, a 250-year old understanding between religious communities, applies to the site. The Temple Mount (Hebrew: הַר הַבַּיִת, Har HaBáyit, "Mount of the House [of God, i.e. the Temple]"), known to Muslims as the Haram esh-Sharif (Arabic: الحرم الشريف, al-Ḥaram al-Šarīf, "the Noble Sanctuary", or الحرم القدسي الشريف, al-Ḥaram al-Qudsī al-Šarīf, "the Noble Sanctuary of Jerusalem"), a hill located in the Old City of Jerusalem, is one of the most important religious sites in the world. It has been venerated as a holy site for thousands of years by Judaism, Christianity, and Islam. The present site is dominated by three monumental structures from the early Umayyad period: the al-Aqsa Mosque, the Dome of the Rock and the Dome of the Chain, as well as four minarets. Herodian walls and gates with additions dating back to the late Byzantine and early Islamic periods cut through the flanks of the Mount. Currently it can be reached through eleven gates, ten reserved for Muslims and one for non-Muslims, with guard posts of Israeli police in the vicinity of each. Rome2rio makes travelling from Or Akiva to Jerusalem easy. Rome2rio is a door-to-door travel information and booking engine, helping you get to and from any location in the world. 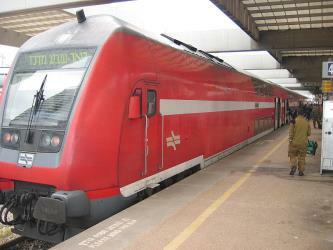 Find all the transport options for your trip from Or Akiva to Jerusalem right here. Rome2rio displays up to date schedules, route maps, journey times and estimated fares from relevant transport operators, ensuring you can make an informed decision about which option will suit you best. Rome2rio also offers online bookings for selected operators, making reservations easy and straightforward.